The Reptile Report - Check out this excellent photograph of a beautiful rhinoceros viper (Bitis rhinoceros) taken by Sibons Photography. 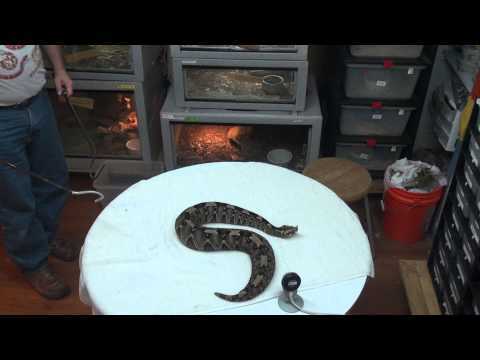 YouTube - Ituri the rhinoceros viper comes out for some table time while Viperkeeper cleans her enclosure. Facebook - Mike Schultz took these amazing photographs of a stunning rhinoceros viper. Click the big green arrow to see more photos. YouTube - Viperkeeper treats a West African rhinoceros viper that has come down with a respiratory infection.